These four houses were built by the Trustees of Datchet Charities in the early 1900s. In the past, the church authorities were responsible for the poor of the parish and many bequests were made through the church by the wealthy in their wills. 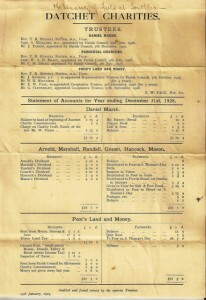 These were the charities called by the names of the donors: Marsh, Arnold, Marshall, Randall, Gosset, Hancock and Mason. The land given by Daniel Marsh was rented out, and all the stocks and shares bequeathed by the others was invested to produce income which the church officers distributed to the needy in money, bread, and coal. The Poor’s land was different. Before 1810 there was a large area of common land where animals could be grazed and fuel gathered, but at Enclosure this land was distributed as private property among the landowners. In some places, a common was created to help the working poor to subsist (as at Stoke Poges), but in Datchet several plots of land were designated to provide rental income as money support for the poor instead – hence the ‘Poor’s Land’. ‘Swallowfield’ was the first of these plots to be sold for building development to increase funds available for the poor. When civil parish councils were created in 1894 they took over many of the secular functions previously managed by parish church councils, including support of the poor. 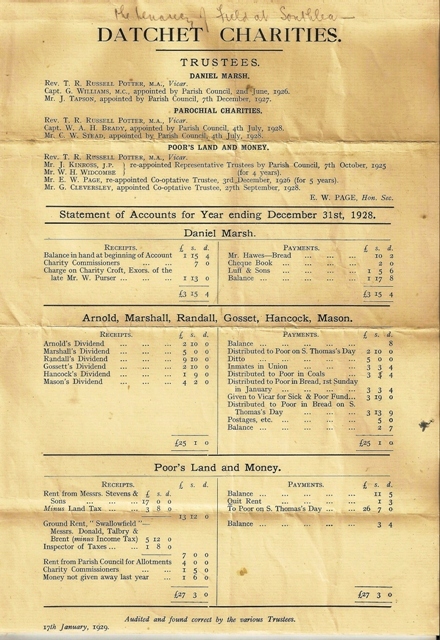 As the 1928 account sheet shows, each of the charities, (or group of charities) had their own appointed trustees, with the vicar heading them all, and made donations to the poor as far as possible following the original donor’s wishes. In 1939 all the various charities and bequests were united under one group of Trustees and renamed ‘Datchet United Charities’, as it is still called. From 1898 the trustees were looking for ways to increase their funds and began to consider selling land for building development as it was so much in demand. The Charity Commissioners gave permission, but not for selling the freehold. 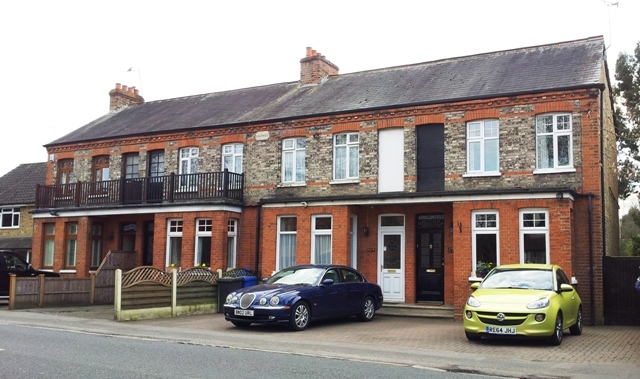 At meetings from 1901 to 1910 a Mr Sterry’s offer of £7 p.a for the lease of building land was accepted, to build four houses by 1903, the four Swallowfield houses in Slough Road. He did not take whole plot and in 1910 the remainder of the Slough Road plot was let to Datchet Parish Council as allotments at £4 pa.
By 1950 the Trustees were again seeking ways of increasing their funds. Up to 60 recipients were on the list for vouchers to spend at local shops and for coal, but other applicants were waiting. A request from the Swallowfield owners to purchase their freeholds was considered, and the possible sale of the Trust’s allotment land nearby. Both of these eventually took place but not for several decades. By the late 1960s and 70s land prices were rising rapidly and the Trustees sold the much larger plot of Poor’s Land on the Southlea Road, as well another plot near Swallowfield, for building development – which hugely swelled their funds. Datchet United Charities still play a very significant role in supporting organisations which benefit the elderly, young families, the sick and disabled.